Salons for exclusive receptions and elegant dinner events – star architect David Chipperfield gets his inspiration for the Palais Varnhagen from the historic townhouse. The salon apartments and penthouses of the townhouse take up the advantages of impressive old apartments and place an emphasis on spaciousness and presentation: with living-dining areas between 26 and 80 m² in the salon apartments and up to 145 m² in the penthouses, with clear room heights of over 3 m in the apartments and up to 6 m in the penthouses, with 2.50 m high doors and large windows, the inner and outer spaces merge into one another. 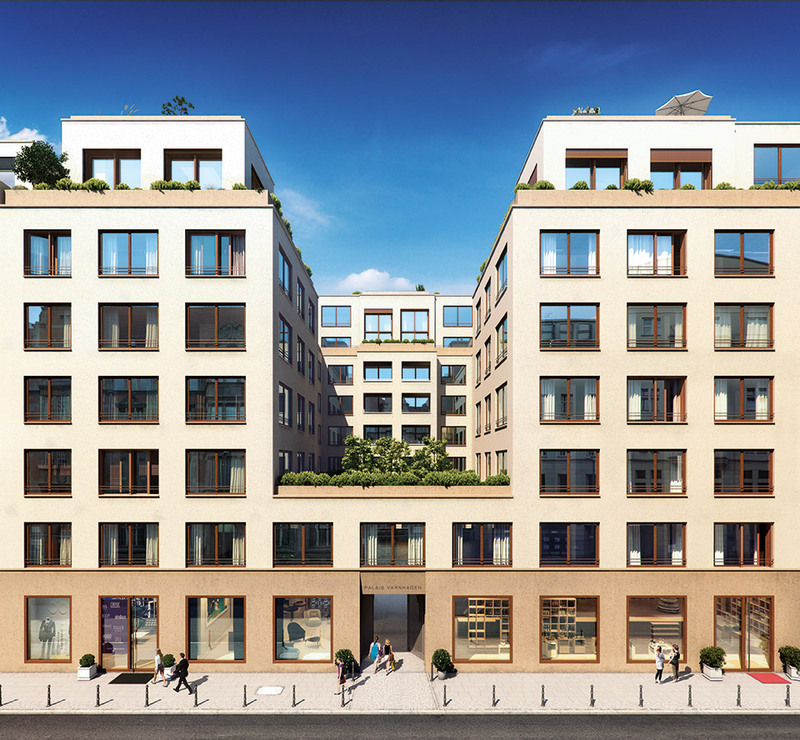 The significant section of the Palais Varnhagen with the open U-plan facing the street creates not only bright apartments, but also space for a lush green main garden and roof garden. 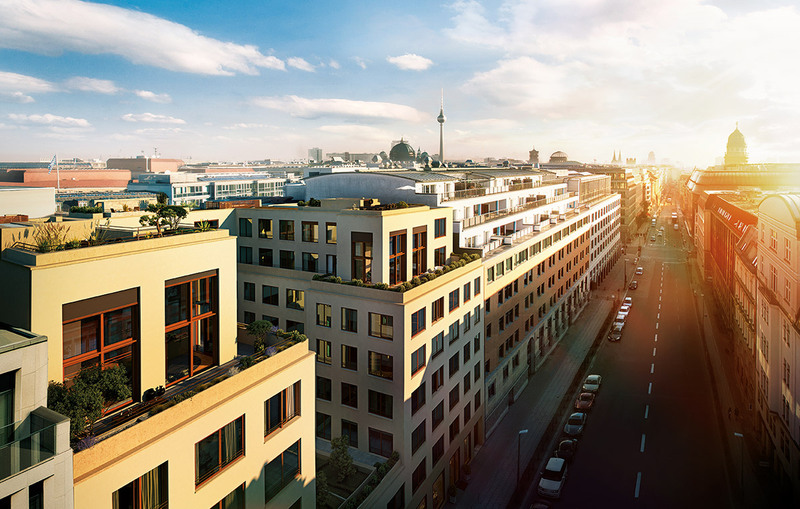 So it offers all the residents a view of a well-maintained green space right in the heart of Berlin. 49 elegant salon apartments, three luxury penthouses with large roof terraces, and two stores on the ground floor – this is the Palais Varnhagen, as designed by David Chipperfield. The 2- to 4-bedroom apartments clustered around the courtyard provide living space of 57 to 182 m². The apartments and also the spacious penthouses on the top floor that measure 291 to 437 m² evoke the exclusive and elegant design of the historic townhouse, with fond reminiscences of the 19th century. Historic and generous flair also prevails in the lobby: in the 4 m high reception area, styled by Chipperfield Design and decorated with contemporary art, both residents and guests will be received by a multilingual concierge, as in a grand hotel. The elegant lifts travel from the underground garage to each entry level, offering a private entry directly to the penthouses.